Salisbury is located in Wiltshire in the south west of England. It was created in its current form in 1918 and has been held by the Conservative Party since 1924. The current member of parliament is the Conservative party’s John Glen, who has served since 2010. King Arthur was born in Yorkshire in 1954 leaving school in 1969 at fifteen with no formal qualification he sat and passed the membership test for Mensa, having a certifiable IQ in the top 2%. He had a varied career in the building trade and parks and garden and served in H.M.Forces attaining Exemplary conduct on discharge. Since 1986 He has led The Loyal Arthurian Warband, as Titular Head and Chosen Chief of what has become known as The Warrior/Political arm of the modern Druid Movement. 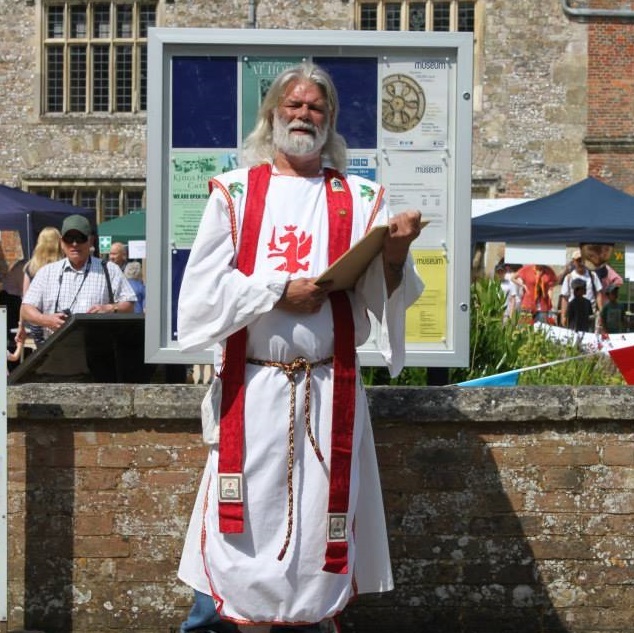 This has involved leading the Druids into many Environmental and Libertarian Campaigns and raising Political awareness through numerous court cases including taking H.M.Goverment to the European Court of Human Rights and steadfastly campaigning for better access at Stonehenge, making him a well-known figure in the Salisbury Constituency. Arthur who lives in Salisbury believes in Free Independent Politics, by, for and of the people, as opposed to by, for and of the Party, and shuns Party Politics. He has stood as a candidate in the last Four General Election as an Independent. (Including his first where he was in fact a fully paid up member of the Green party) he believes that only as an Independent can you truly represent the electorate. One thing I believe in is that the MP should be one of the people and should be accessible to the electorate. One way of ensuring this would be to hold ‘Surgeries’ in and around the constituency in more accessible and less formal settings and if elected I would hold mine in pubs, at car boot sales and in shopping malls and Markets. Only an Independent can back a good idea and conversely oppose a bad one, whichever side of the house it comes from. All the other candidates who belong to a party must follow their party line. 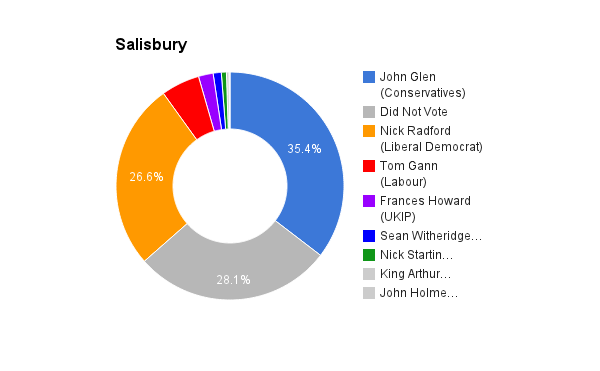 All Party politicians wish (with their colleges) to form a Government, I on the other hand wish to represent the people of Salisbury only, and to speak out in opposition for what they the electorate wish not what this or that party wish for them. I believe John Glen MP has achieved a lot in his first term of office and has been a good approachable constituency MP. However I do not agree with many of the policies of his party and would not have backed them. The main difference between the main parties and their policy and mine is their belief in short term economic benefit outweighing long term risk as demonstrated by their ‘backing of Fracking’ despite widespread opposition. I am vehemently opposed to the austerity measures brought in by this Government designed, as I see it, to Claw back money from those who can least afford it, in order to prop up those who least need it. We could not have this conversation (in English) were it not for Norman French. Angle, Saxon. Jute, Hindu, High German, Latin, Greek or all the other myriad of languages that through past waves of immigration go up to make the vast tapestry that we call English and the peoples of these Isles. We should not limit ourselves or our organically changing culture to one of an insular nature. Quite simply there has to be an increase in the minimum wage. In the retail sector this increase cannot and should not be passed on to the consumer. Savings should be made elsewhere and where they cannot, the cost should be borne by the Shareholders likewise in heavy and light industry, if as the conservatives say “We are all in it together” then savings and tightening of belts should be across all sectors of society not solely on those worse off. I would like to see an end to ‘target led’ management and the monies being spent on layer after layer of Bureaucracy and middle management, monies that could and should be better spent on clinical care and nursing. In short; ‘fewer pen pushers and more scalpel wielders’. Since Harold Wilson said that everyone has the right to higher education our Universities have been full, but there are only so many placements for those holding the qualifications. As a nation we are training too many ‘white collar workers’ and neglecting the needs of the ‘Blue collar’ industries. It amazes me how many of our ‘Shop Girls’ have a degree and how few of our youth are learning a trade. Yes it does, and one of the reasons for the Political apathy in this country is how alike the policies of the main stream parties are and the perceived lack of choice given to the electorate as a result. I would not encourage them either way, that is the whole point of holding a referendum to see what is the wishes of the people, and then hopefully to act on it. I would however point out what is to be gained and what is to be lost by any such resolve.